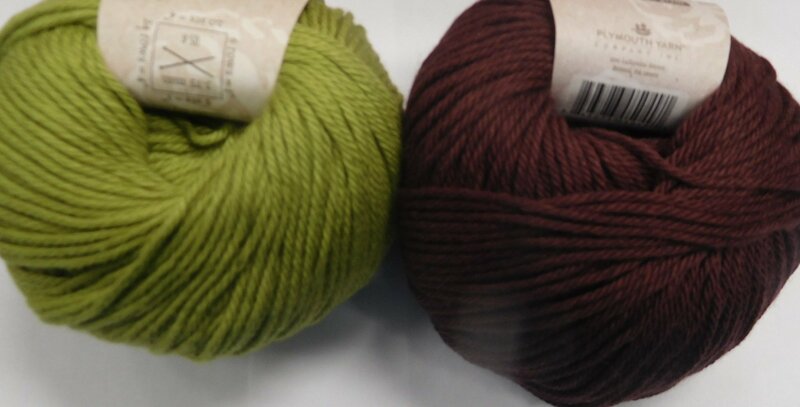 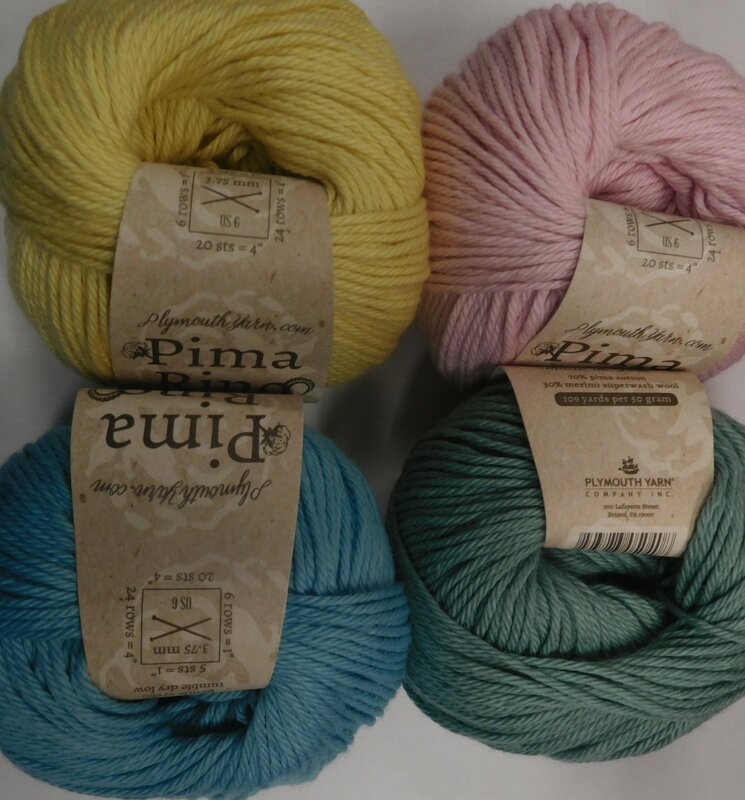 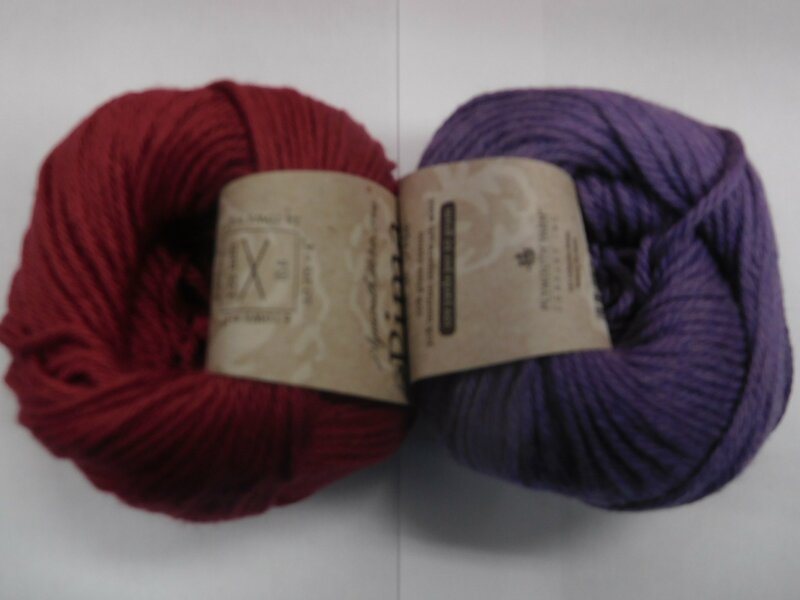 This 70% pima cotton and 30% machine washable wool is very soft and a great price point! 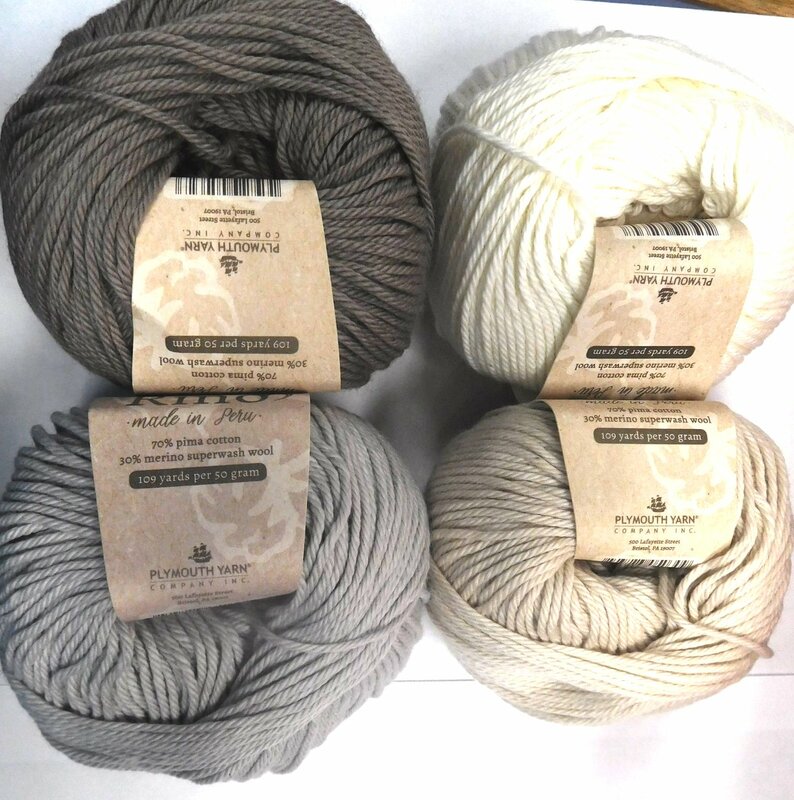 Enjoy the elasticity of wool with the easy care and cooler properties of cotton for those shoulder seasons when you don't really need 100% wool! 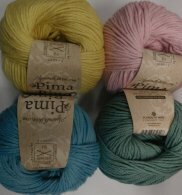 Featuring 109 yards and recommended knit at 5 sts/inch on a US 6 - you could work it at 5.5 sts/inch as well for a nice fabric.